Lyon star Nabil Fekir has provided an update on his future, suggesting that he could be set to leave the Ligue 1 club for pastures new shortly. Fekir, who has been constantly linked with a move to Liverpool, has just 18 months remaining on his contract in France and has also caught the eye of Chelsea, Real Madrid and Bayern Munich recently. 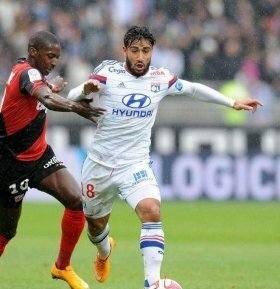 With numerous teams monitoring Fekir's situation very closely, the French international has been quick to discuss his own personal preference with French reporters. "Discussions are ongoing. I have sat down with the president, things are advancing slowly," said Fekir. "When will I take a decision? I am not fixing myself a date, I am not in a rush. "Nobody is putting any pressure on it and I like to take my time. "I am happy at Lyon, but which player doesn’t dream of discovering a new league, another club?" Chelsea are the new favourites to land Fekir, and when the media representatives asked him of their rumoured interest, Fekir quipped: “They haven’t called me, but they can be watching my situation without calling me."